The Forever Alone Mouse is an Event Mouse found during the annual Valentine's Day or Lunar New Year events. Information on how to locate and capture the Forever Alone Mouse can be found on the current Valentine's Day or Lunar New Year location page. Loot: King's Credit, Valentine Charm, Luck charms, DHU-, DLU+, S.A.D. Pamphlet, Valentine's Scroll Case, Valentine themed Skins, area specific items. 3 February 2012: The Forever Alone Mouse was painted live during an 'Art Edition' of Feedback Friday. Ideas and suggestions for how the mouse should look were provided by the audience at the time of painting. 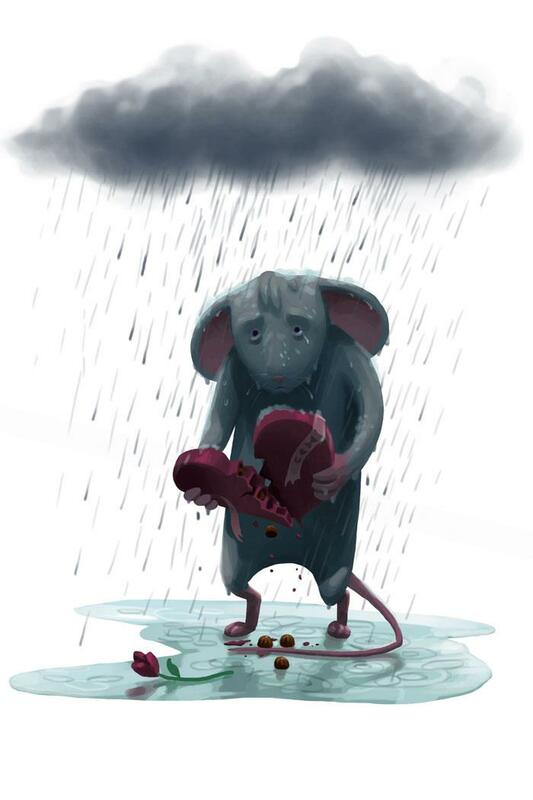 13 February 2012: The Forever Alone Mouse was released as part of the Valentine's Day 2012 event. This page was last edited on 8 February 2016, at 21:44.